Qatar Airways is always having Open Day events every now and then. Anyone who has the dream of becoming Cabin Crew has had at least penciled one of these events in their diary.An Open Day event is very simple in nature. It is basically an opportunity for you to meet the recruiters, drop your resume and photos and respond to 1 or 2 questions such as “Why do you want to be a flight attendant? Nothing more, nothing less. Here is a picture from the Qatar Hong Kong recruitment event held on the 1st of Septmeber this year. Open Days for cabin crew recruitment are always a major event, with an average of 800 – 1600 applicants per day. Yes, per day. That’s how many people you’re going to compete with, you will have to stand out in a crowd of a thousand plus. By the way, at the end of this short article we have a video that is a must watch and will help you through your Qatar Open Day preparation. Calendar. Since Open Days are usually on a Saturday, make sure you do not have any commitment on the weekend of the open day. That means free your schedule Friday night. You will need your Friday night to relax your mind and rest your beauty muscles before the interview. Photographs. This will make or break your application. Photographs should be the correct size, background, and attire. Attire. Have your business attire tailored to fit you. Whilst not everyone can afford a pricey suit, there is no excuse for an ill-fitting attire especially for an interview like this. For ladies, your skirt should not be showing your thighs when you sit. Be early. 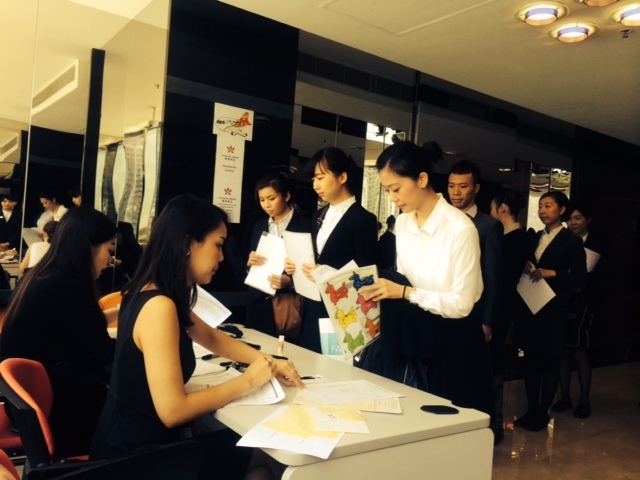 There are lots and lots of applicants who will show up for the open day event. If the gazetted hour is 9am be there at least 2 hours before. This is to make sure that you will have time to refresh yourself, be relaxed. Also if you arrive early, you are most likely to secure a spot in the top 100 people who will be interviewed. Being amongst the top 100 means you will have your freshest look of the day, the recruiters will probably in their best moods, and this will highly likely get you a seat for the briefing. Hair and Make Up. Male applicants, have your hair cut to a clean cut, but long enough not to show your scalp. Shaving facial hair is necessary. Ladies, if your hair is long, wear it in a pony tail. Make sure it looks neat. Wear full makeup. If you don’t know how to put on make up, practice until you can do it yourself, or have someone do it for you. Accessories. A wrist watch is a must. No cabin crew should be without a wrist watch. Earrings should be simple studs, pearls would be your best bet, but don’t wear them too big. Wear stockings, ladies, and keep an extra pair in your bag. Keep your bag a simple design, nothing too loud. Your shoes should be clean and polished. Enthusiasm. Be enthusiastic about this and be genuine about it. Greet your recruiter with your best smile and let out a one-liner like “Good morning, I’m Tarisai. (shakes hand) I’m really excited to be here today.” It may be the simplest of introduction, but how you say it really matters. Confidence. Good looks alone will not get you the job, so don’t be nervous and think you won’t get the job just because there are people who look more attractive than you are. Contrary to popular belief that flight attendants are taken on basis of looks, you have to be smart and have the personality traits that a cabin crew needs to have. Carry yourself in a manner that commands respect. Stand up straight, walk with your head up, and smile. In my opinion the best way to do get through this open day successfully is to play the part. Think like a cabin crew, act like a cabin crew, be a cabin crew.